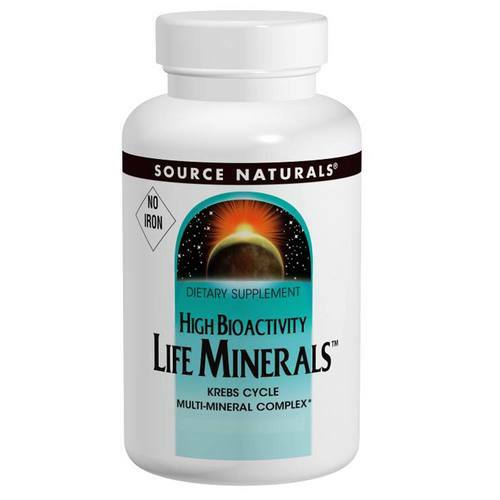 Life Minerals, No Iron by Source Naturals is a great option for those who are already taking an Iron supplement but are looking for a great multi-mineral or for those who don't wish to take an iron included supplement. This multi-mineral features a kerbs cycle. Advertências: If you are pregnant, may become pregnant or breast feeding, consult your health care professional before using this product. Do not use if either tamper-evident seal is broken or missing. Keep out of the reach of children. 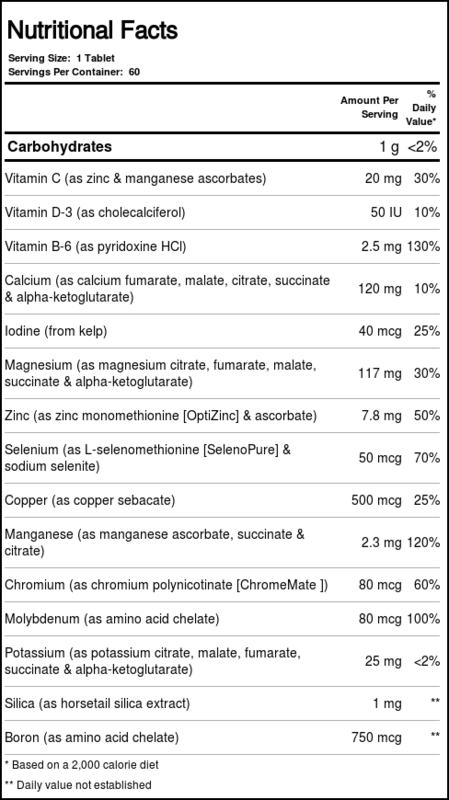 Recomendações de uso: Take 1 to 4 tablets daily, or as recommended by your health care professional.